The Sheller whistleblower team announced a $58.9 milllion settlement with Shire Pharmaceuticals over off-label marketing of ADHD drugs Adderall and Vyvanse in September, 2014. Court documents detailing the civil allegations and settlement were signed by Shire and unsealed by the Office of the United States Attorney for the Eastern District of Pennsylvania. Sheller, assisted by Sheller, P.C. attorneys including former assistant U.S. Attorney Joseph Trautwein, worked with the whistleblower to prepare the case, submit evidence and file the complaint under seal with the government according to court documents. 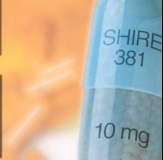 The settlement documents allege that Shire also claimed their drug Vyvanse was not “abuseable.” The Department of Justice in the court documents say Shire sales representatives “made false and misleading statements about the efficacy and ‘abuseability’ of Vyvanse” despite no supporting clinical data, to avoid requirements for prior authorization” for “abuseable” drugs as set by the government health program Medicaid. Further allegations by government prosecutors include that Shire marketed Lialda, an FDA approved drug for ulcerative colitis, as more effective than other medications and that the drug “would induce ‘complete remission’” of the condition despite a lack of clinical data to support such a claim. Shire’s Pentasa, another drug for disruptive digestive conditions, was, according to the court documents, promoted by the drug manufacturer as a treatment for Crohn’s disease and indeterminate colitis, which were not FDA approved uses of the drug. The settlement was achieved through the coordinated efforts of the Sheller attorneys and the U.S. Department of Justice and U.S. Attorney’s Office for the Eastern District of Pennsylvania including Assistant U.S. Attorneys David Degnan and Paul Kaufman, and Natalie Priddy of the Department of Justice Civil Frauds Division. The lawsuit is captioned United States ex rel. Torres et al. v. Shire Specialty Pharmaceuticals et al., No. 08-4795 (E.D. Pa.). The final settlement agreement is available on the U.S. Department of Justice website. About Stephen A. Sheller and Sheller, P.C. Sheller, P.C. represents plaintiffs injured by defective drugs, devices, and consumer products nationwide as well as whistleblowers reporting corporate and government fraud. Founded by Stephen A. Sheller and in practice since 1977, Sheller, P.C. has challenged some of the largest corporations in the United States, including pharmaceutical and medical device companies, auto, tobacco and others. $2.2B Settlement "Leads the Pack"